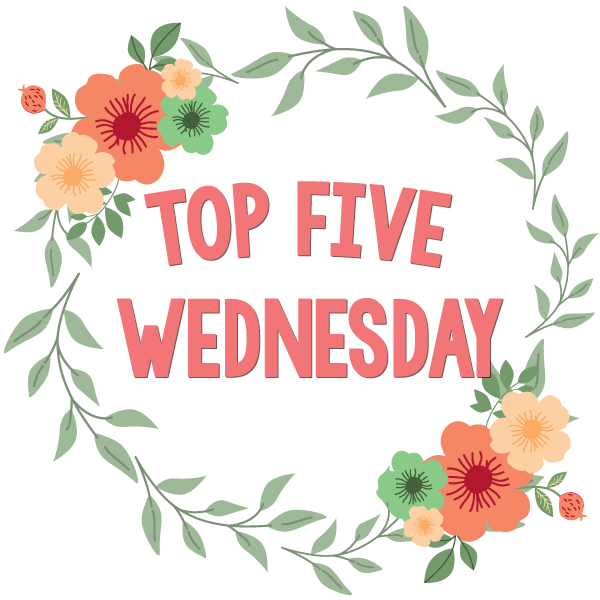 This week’s Top 5 Wednesday topic is retellings and I’m so excited because I love retellings. Plus, some of my absolute favorite books are retellings. I haven’t read many retellings of Alice in Wonderland but Splintered is my favorite. It’s so mystical and imaginative. I read this book so long ago (like 2011, I think) and I was so blown away by it. I still think about it and it has definitely made a lasting impression on me. Mechanica is such an interesting retelling of Cinderella. It’s fairly close to the original story but it’s also very different. The writing is beautiful and I loved the concept. This is my favorite retelling of Beauty and the Beast. I was so emotionally invested in the story and I loved so much about this book. The Lunar Chronicles is such an amazing series. I love how each book focuses on a new character and a new retelling. It’s so well written and the characters are amazing. I Love your List! Splintered was a pleasantly surprising series! I have the Cinder books, but I haven’t gotten to them yet. I must do that ASAP! I loved the Lunar Chronicles as well. I’ve yet to read Winter though :) I’ve not actually read any of the other ones though. What I did read was The Wrath and the Dawn, not quite like the original (1001 Nights), but a very interesting spin on it.